There are around 100 Protea species in southern and tropical Africa, with most growing around the southern tip of Africa. The name Protea was given by Linnaeus in 1735, named after the Greek sea-God Proteus, who could change into many different forms. This mirrors the very diverse range of plants in this genus. The first plants grown in the UK were mostly likely in Kew Gardens in the late eighteenth century. Proteas are mostly known for the stunning King Protea, Protea cynaroides, which is South Africa’s national flower, and a good garden plant and cut flower. Proteas are mostly evergreen shrubs and trees, and most are half hardy, only growing outside in the mildest parts of the UK. The Eden Project and Tresco's Abbey Gardens in the Isles of Scilly often have good specimens growing outside. In most of the UK they need protecting, by growing in large pots and moving indoors or covering the evergreen plants in fleece over winter. 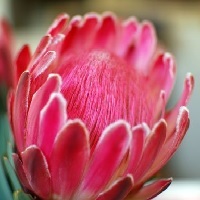 Most Proteas form large flowers in summer, singly or in clusters and often red or pink in colour. Not all make good garden plants, as they can grow big and straggly. The best for gardens in the UK include Protea cynaroides and the Protea repens / Sugar Bush Protea. By cuttings: New plants can be created by taking tip cuttings or semi-hardwood cuttings in early summer from non-flowering plant material. The cuttings should be dipped in hormone rooting powder and placed in a well drained seed mix. Some bottom heat may help with rooting, which takes about 6 weeks. Pot on the cuttings when they are rooted and growing well, being careful not to disturb the roots. Flowering should start in 4 to 5 years. Take note of the care requirements below. By seed: Most but not all Proteas can be relatively easily propagated from seed. 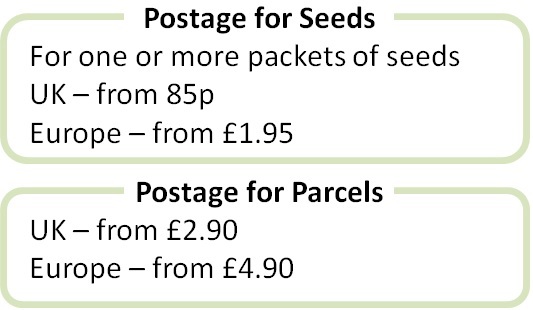 Seeds germinate best with warm days and colder nights and sowing is therefore generally done in spring or autumn. Soaking seeds first in smoke primer solution may improve germination. Soak the seeds in a smoke primer solution for 24 hours. This mimics the natural process of fire, which is thought to improve germination of most Protea seeds. Then sow in a tray of well drained peaty seed compost - adding perlite and horticultural sand to the seed compost improves drainage. Once sown, cover the seeds with about 1cm of clean sand. Germination takes 3-4 weeks at around 15-20°C, and up to several months in cooler conditions. Let the germination temperature drop naturally at night. Transplant young seedlings into a well drained nutrient-poor compost (with added grit) being careful to avoid root disturbance. Grow on for a year before planting in the final position. Flowering should start in the fourth or fifth year. If smoke discs are not available, you can make you own solution. Measure about 100ml of warm water, add three teaspoons of wood ash and stir thoroughly. Make sure the wood ash contains ash from wood and nothing else. Soak the seeds in this solution for 24 hours before sowing. Proteas generally grow best in sun and in nutrient poor, sandy and acidic soil. Plants should occasionally be fed with a phosphate free fertilizer - an organic fertilizer is generally best. The stems of dead flowers can be cut back to ground level. Older woody plants can generally be cut back after flowering to ground level where they will re-sprout. Remember to protect against frost, depending on the species. Some species are adapted to re-sprout after fire, and may re-sprout from ground level if badly frosted. Plants can be grown in conservatories. Make sure they have good light and ventilation.